There was 3 of us in this picture! This time last year, everything was different. We were flying back from our holiday in India. 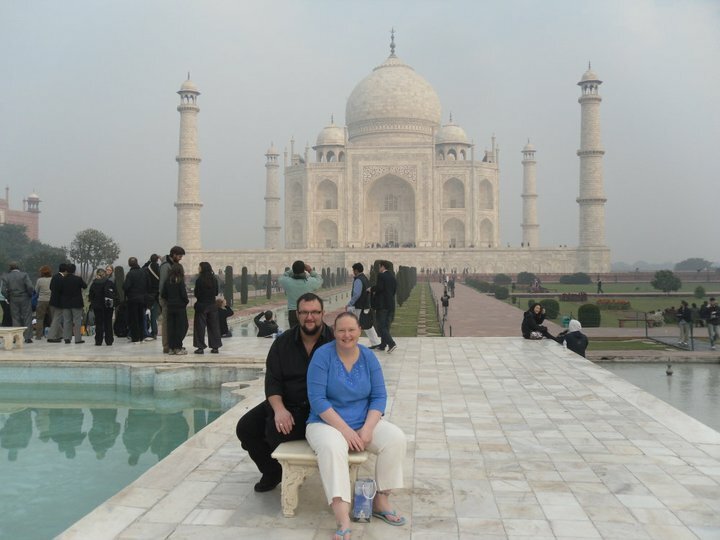 We had spent 2 amazing weeks seeing what such a beautiful and very different country India could be. From the beauty of the Taj Mahal, to the pair of soiled trousers simply left in the middle of the path for all to see. The first week, we travelled around what some call the golden triangle; Delhi, Agra and Jaipur. We had a great time and would recommend it to anybody! The second week, we spent in a hotel, soaking up the sun, drinking too much and eating even more. It was during the 2nd week that we noticed THAT time of the month hadn’t arrived and we laid together on an evening talking about “What if?”. What if, we went home did a test and Christine was pregnant? We speculated and speculated, talked about how we would cope, would we be good parents, all the usual things people think about in these situations. We decided that we wouldn’t test until we got home. There were places we could have got a test from but we felt it was best to enjoy our holiday and wait till we got home. Still, just incase, Christine made her excuses and avoided any alcohol. So after a whole week of ifs and buts, we made the VERY long flight home. (We were in premium cabin, so we managed lol). We landed, made our way to car park and set off on our way home. There was an ASDA on the way, so we nipped in and went straight to the medicine aisle. It took us 10 minutes, just to decide which test to buy! There’s Digital, analogue, those that tell you how long you’ve been pregnant, those that just show you some fuzzy lines and many many more! We chose one and headed to the tills, always watching for anybody we knew, so we could run and hide. You know how the rest of the story goes, but we don’t know how it will end, but it’s gonna be cool finding out. What a difference a very happy year makes!